The terms anarcho-capitalist and anarchist are quite common to libertarians. We hear the terms and think of such figures as Lysander Spooner and Murray Rothbard. Yet to the general populace, these words represent something very different. The terms harken back to history classes where students learned about the self-proclaimed Anarchists who threw bombs, engaged in violence, and had a much-different view towards the free market. 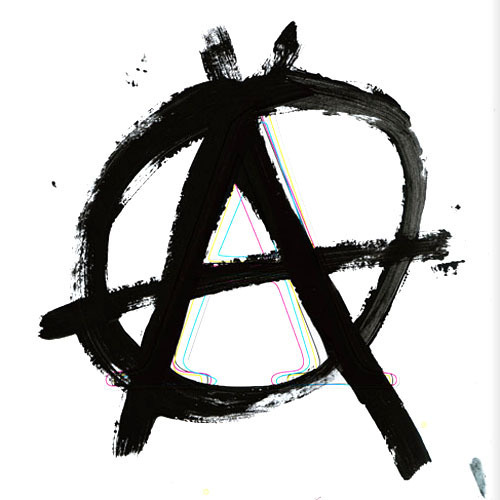 In a lighter sense, the majority grew to accept that to be an anarchist is to experience youthful phases of rebellion against society and “the man”. This is drastically different from the libertarian view, where an individual who identifies as an anarchist or an ancap is one who believes in a completely voluntary society with no government coercion. While I don’t claim either one of those titles, this is certainly a case in which libertarians need to play a better semantics game as it relates to outreach to the general public. The second that one identifies themselves politically as an anarchist or an ancap in a conversation with a non-political acquaintance, one of two things will happen: either the subject will be changed or a deluge of confused questions will be asked; in my experience, the former tends to happen more often. Anarchism has such violent connotations; do we really want ourselves associated with that, even if we attach the term capitalism? There are much better terms to use to describe the belief in a free society or laissez-faire economics. Relying instead on the political label of voluntaryist may require some explanation, but doesn’t create preconceived notions. Explaining first and foremost that you are an advocate of a free-market economy (a real one without impediments created by the Federal leviathan) is also another solution to the semantics problem that we find ourselves facing. The general public finds itself more cynical of the status quo every day and is looking for another answer out there. Terms need to evoke a certain kind of hope, and that can only be accomplished by using self-descriptions that haven’t already been manipulated to represent a negative, or dangerous, point of view. I’d argue that even capitalism is a bad term. It was first defined by Marx in Das Kapital and has always had a negative connotation: one that evokes the image of the fat executive smoking a cigar while stomping on the poor. Furthermore, the Left claims that the bailouts and Keynesian economics “saved capitalism”, an exemplar of oxymoronical statements. If the bailouts and Keynesian economics saved capitalism, I wonder what their notions of real central planning are. It’s not hard to be savvy about your terminology if you know who you are talking to. Efforts must be made in every way possible to win the hearts and minds of the public, especially in terms of viability of libertarian candidates. When I run for office, I don’t want people to be associating me with Gavrilo Princip just because someone mentioned to them that they were a libertarian who had anarchist leanings. Likewise I assume that libertarians in business or the non-profit sector of the economy would rather not have their productivity associated with destruction and violence. Make a conscious effort to use new terms, or only use self-descriptors such as “anarchist” or “anarcho-capitalist” amongst other libertarians, where they will be understood for what they mean. It will make a world of difference in the long run, and could contribute to living in a much more free society one day.